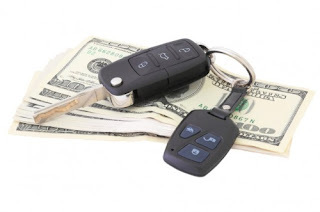 Car title loans present both advantages and disadvantages to individuals needing cash on hand the soonest possible time. The availability of cash to the borrower within twenty-four to forty-eight hours is the main feature of car title loans, which allows the person to gain a range of benefits depending on his current needs. What are the things you should know about car title loans? Let’s find out. With car title loans, the borrower would simply use his fully-owned car as collateral to a cash loan to be granted by his chosen lender. The loan amount, terms of payment, as well as the interest rate, shall be determined by the lender based on the market value of the car and the other factors affecting its value. The beauty of car title loans is how quick and easy it is. You need quick and easy cash? No problem—if you have a car, you can get your cash while keeping your car, too. However, you must be careful in taking advantage of this main feature of car title loans. Otherwise, you might find himself more disadvantaged when it is time to repay the proceeds of the loan. If the borrower agrees to the offer, he will simply surrender the car title of ownership and the car’s duplicate key to the lender. This means he gets to keep using his car while expecting to receive a cash loan within one or two days. Some auto title loans can easily trap borrowers with their quick loan approval guarantee, shifting the latter’s attention away from the actual risk that they are putting their assets and themselves into. Just imagine a car valued at $5000. The lender offers a $1500 cash loan with an interest rate of 20% monthly, payable in 30 days. The borrower agrees and gets his cash in just two days. However, while he gets out of his predicament with the quick cash, he also ends up risking losing his car for just the amount of the loan. Not to mention that he also loses $300 to the lender from the 20% interest in thirty days. Furthermore, if the borrower decides to renew and extend his loan for another two months, he is also risking the total value of his car and even spending a $400 interest on top of it. In reality, the borrower may risk more and lose more as this example is a simple principal plus interest computation. Car title loans are popular because of it being a secured type of loan where the loan proceeds are based on the value of a surrendered asset. This means the borrower is not required to submit to a background and credit check. Also, car title loans Fresno are paid over a short-term basis, which saves the borrower time stressing on it. This is if he has the money to pay the full balance plus the interest, of course. Otherwise, a new agreement with stricter terms and a higher interest rate must be signed just to not risk losing his car. As a result, he just prolonged and added more to his financial agonies. Some car title loan companies can also be unforgiving and would have strict policies when a borrower fails to pay the loan at the end of the term. As a general industry practice, a car title loan company takes ownership of the borrower’s car as soon as his loan reaches default status. The company would in turn sell the car, and if it is sold at a value more than default loan amount, the company offsets the loan and gets to keep the profit for themselves. On the other hand, if the selling price falls short to cover the full loan balance, the borrower still needs to pay the difference. If the borrower is particular with protecting his personal and financial information, the car title loan provider can guarantee him this. Unlike banks and other lending companies, lenders of this loan type will not look into the borrower’s credit history. The credit history will show personally identifiable information like date of birth, home address and social security number. If not handled correctly, these details could be exposed and may risk the owner’s identity. Moreover, the borrower need not worry about his credit score getting hit. Unknown to many, each time a bank or any entity performs a credit check; it negatively affects the overall score of the person whose credit history they are checking. The initial impression most people would have for these car title loan companies are favorable. They extend quick financial assistance during emergencies, and only require documents from the borrower to extend their help. But given both the pros and cons of car title loans, people must still be extremely cautious in choosing the loan company they would entrust their car to. Just because these companies’ lent the cash without too many questions asked means they have all the right to exploit their borrowers. It is difficult to spot car title companies that sincerely extend financial help to borrowers. Countless companies claim to provide worry and hassle-free loans in social media and in their own websites. To make it more convincing, some would have a number of testimonials from clients whose real existence people cannot confirm. While it is only right to give these car title loan companies the benefit of the doubt, borrowers are highly advised to research not just online, but also in person. After a borrower gathers both positive and negative feedback about the company, it is wise to get a gut feel of what the company could offer by visiting them. The moment the prospective borrower steps into the car title loan company, the general atmosphere and the behavior of the people he is going to meet could tell what kind of borrower-lender relationship he is getting into. Are both clients and employees calm and relaxed while communicating with each other, or is there an oppressive feel to the air? Is the company orderly, or are there documents lying all over the place? Scenarios like these call for the prospective client to just politely walk away and move on to the next company. Different people may have varying views about car title loans. However, prospective clients should keep in mind that the true benefit of a car title loan is not determined by the process by which a person gets his cash loan, but how it quickly addresses emergency situations – like paying for a loved one’s hospitalization, which then provides a long-term peace of mind.